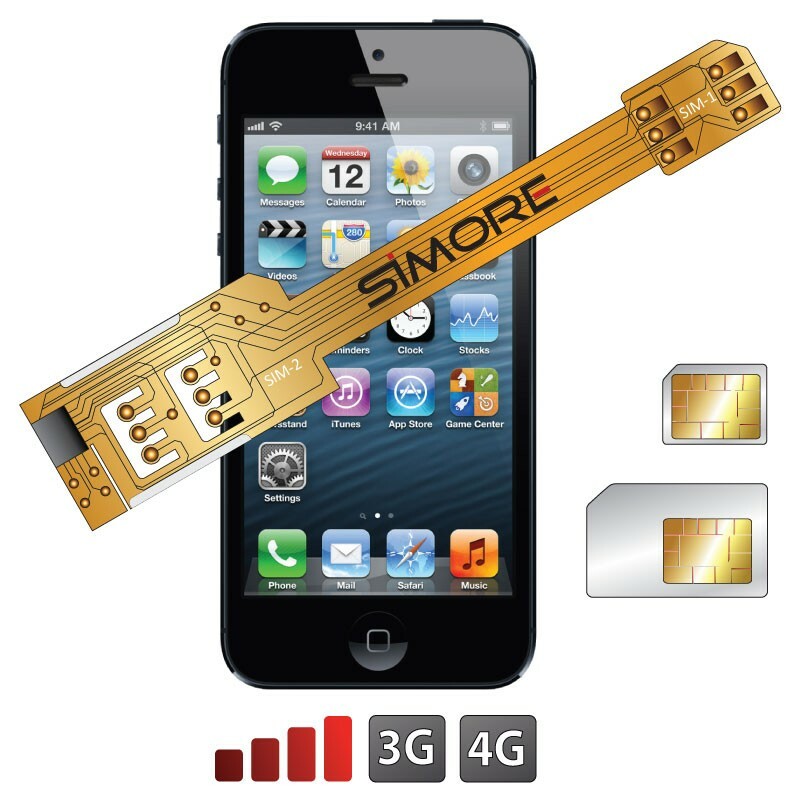 Use 2 SIM cards in your iPhone 5. The Dual SIM adapter X-Twin 5 allows you to install two SIM cards in your iPhone 5. Choose at any time on which SIM card you want to be connected. The Dual SIM card case X-Twin 5 includes the shortcut function. You can switch between both SIM cards by dialling #11 (SIM-1) or #22 (SIM-2) directly via your iPhone 5 keyboard. You switch from one number to the other in two clicks and choose your SIM to make and receive calls, send and receive SMS, and access data and browse Internet, without turning off your iPhone 5. Switch from one SIM card to the other manually or automatically. Gives free access to all features of your mobile (buttons, connectors and camera).